Bullet journals are used by all manner of people, but they can be especially useful for writers. A bullet journal can help you set writing goals, plan novels, track your progress, practise all-important self-care, and much more. 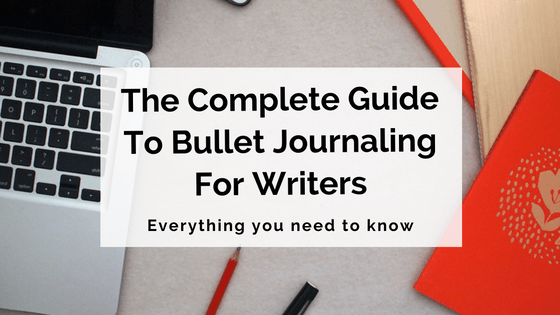 This guide provides everything you need to know about starting a bullet journal and using it to improve and enhance your writing process. We'll be covering everything from setting up basic journal pages to plotting an entire novel using your #bujo – so let's dive right in! 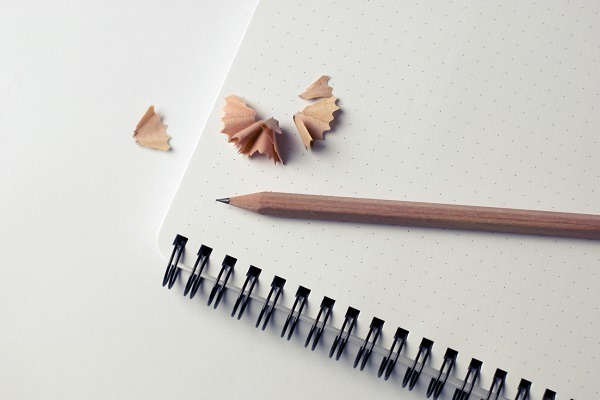 Before we get into the writerly specifics of bullet journals, we'll be going over the basics. Here's everything you need to get started. Obviously, the most important thing you'll need to create a bullet journal is the journal itself. The official Bullet Journal website sells a custom notebook, but you can basically use whichever kind you prefer. As long as it's blank and reasonably sturdy, it will do the job. A reasonable size. If your journal is too big, you probably won't take it everywhere with you; if it's too small, you might not be able to use it to its best advantage. Choose a medium-sized notebook that gives you plenty of space to create your various spreads, but that you can also fit in a bag or carry around comfortably. Blank/dot-grid pages, not lined. Blank pages, or even better, pages with a faint dot grid, are ideal for bullet journaling. 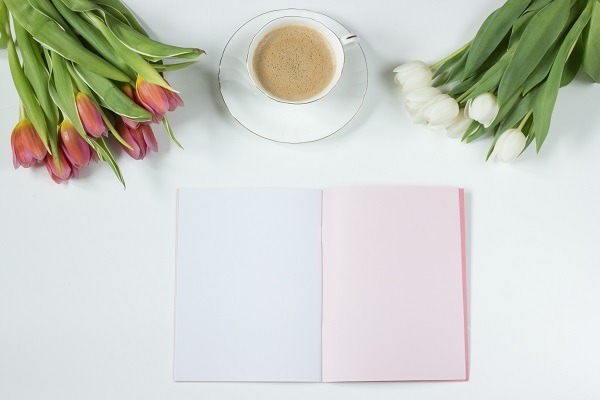 You'll see why when we get into further details about how to set up your journal, but basically, lined pages will limit the kinds of spreads you can create. Thick pages. Felt-tip or artist's pens are more popular than ballpoint pens for bullet journaling (more on this below); also, a lot of people like to get creative with their bullet journals and decorate/embellish the pages. For these reasons, we recommend a notebook with reasonably thick pages to minimise show-through or ink bleeds. A sturdy cover. All going well, your bullet journal will become your personal bible – you'll be using it all day, every day, and taking it everywhere with you. This means it needs to be durable and long-lasting, so we'd suggest a thicker cover to keep the pages in good shape. 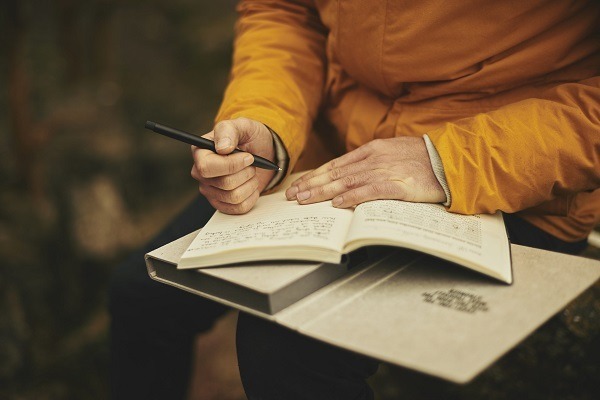 As well as the official Bullet Journal notebook created by Leuchtturm1917, other popular brands for bullet journalists include Moleskine, Rhodia and Peter Pauper Press. Bonus tip: If you're unsure whether bullet journaling is going to be right for you, perhaps try it out first on any spare notebook you have lying around. Use this for a month or so, and if you love the process and want to continue bullet journaling, consider buying a brand-new notebook that meets the criteria we mentioned above. We mentioned above that fine-tipped artist's pens are a popular option for bullet journaling. The reason for this is basically that these pens tend to be more neat and precise to write with than regular ballpoint pens, and they can also be used for decoration and/or more elaborate lettering, if that's something you wish to do. Popular brands for bullet journaling pens include Faber-Castell, Staedtler and Pilot. However, as we mentioned above, when you're just trying out the bullet journal you may wish to use whatever pens you have lying around until you decide whether you like the process. If you do, it might be worth splashing out on some new ones! A ruler, preferably clear plastic, for keeping things neat, drawing graphs/grids etc. White-out tape – because everyone makes mistakes! Sticky tabs, if you want to create easy access to different sections of your bullet journal. Washi tape, if you want to get fancy and decorate your pages. We're now going to cover the basics of setting up your bullet journal for everyday use. 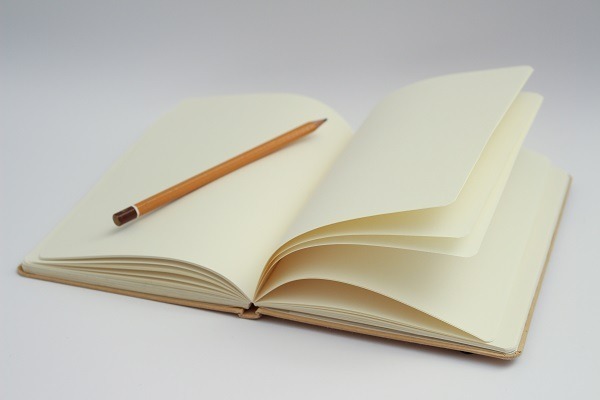 The first thing you need to do in your blank notebook is number the pages. This is to help you keep track of where everything is as you add to the journal. After you've done this, create an index at the front of your journal (we recommend using a two-page spread). Obviously, you won't have anything to put in the index just yet, but it will come in very handy later! Each time you add something you want to be able to reference, add its page number and description to the index. Planning in a bullet journal is usually divided into three different types: long-term (called a 'future log'); medium-term ('monthly log') and short-term/day-to-day ('daily log'). Remember to add the page numbers and references for each of these logs to your index when you create them! The future log is an at-a-glance look at your entire year (or desired long-term time period). It doesn't have to be too in-depth; it's simply for recording future events that you need to remember, and/or long-term goals you want to achieve. The easiest way to create your future log is to divide two double-page spreads into six equal sections each, and label them with the 12 months of the year. Use each section to note down important things happening that month. The monthly log is a slightly more detailed spread. To start with, just create a monthly spread for the coming month (or whatever is left of it when you start your bullet journal). Use a double spread. The left-hand page will be your calendar page, listing the days of the month down the left side in date-initial format (e.g. Tuesday, November 1st would be '1 T'). Here, you can list things like events and deadlines for an at-a-glance look at the month. The right-hand page is your task page. Here, you brainstorm and write down all the things you need to get done across the entire month. Obviously you won't be able to foresee certain tasks, but it's a good place to make a list of everything you can think of at the outset of each month. The daily log is the bread-and-butter of the bullet journal. It's basically your day-to-day diary/to-do list. You don't need to worry about planning out the daily log in advance; simply fill it out as you go along, as you never know how much space you might end up needing for a particular day. Events can be things like 'Hannah's birthday', or can be included for reference after they happen – e.g. 'Completed first draft of novel'. Notes can be anything you want to take down or remember: ideas, thoughts, observations, points covered in a class or meeting etc. 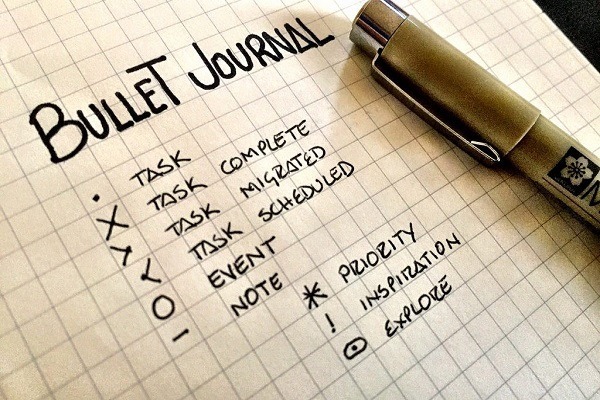 Use a combination of these bullet types in your daily log to list anything you need to do, remember or record each day. There are hundreds of great resources online with plenty of ideas for useful Collections; Boho Berry, Tiny Ray of Sunshine and the official Bullet Journal blog are a few of our favourites. When deciding what Collections to create, be sure to remember that your bullet journal is your own life organiser. You can customise it however you like, and if you're not a fan of any particular feature or Collection, you don't have to use it! Collections are the main aspect of a bullet journal that will help you out as a writer, so we'll go into further detail about them in the next section. Note: The future, monthly and daily planning logs we covered above are also commonly referred to as 'Collections'. Once you have the basics of your bullet journal established, it's time to put it to use as a writer's tool. Used to its full potential, a bullet journal can really be a one-stop shop for busy writers. It can help you set and meet writing goals and targets; keep track of all the bits and pieces that go into a work-in-progress; and best of all, make writing a regular (or even daily) habit. Let's take a look at how to use the bullet journal to help your writing. If you want to hold yourself accountable to writing regularly, we recommend adding writing tasks to your daily log/to-do list. Choose daily goals that aren't too ambitious or daunting. Remember, you can always keep going if you get on a roll and surpass your minimum target! It's super important to make plans and set long-term goals for your writing. If you don't, you may find yourself feeling directionless, unmotivated or creatively blocked. Luckily, a bullet journal is the perfect tool for this! 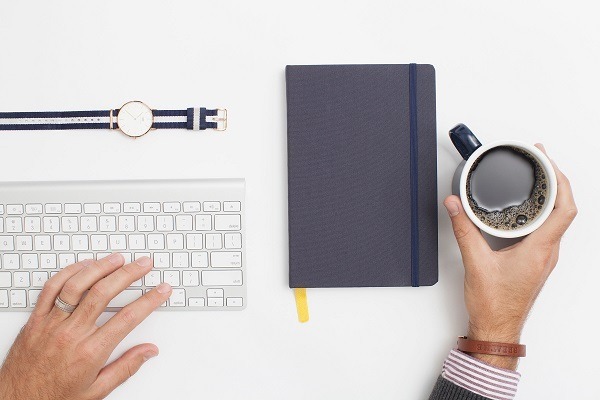 Longer-term planning may be as simple as noting how many words you ideally want to write per week or month in your weekly/monthly logs, or setting loftier goals such as 'Finish the first draft of my novel in the next 12 months'. Just be sure to break goals down into manageable fragments, such as the daily tasks we discussed above. Perhaps create Collection pages for listing 'Long-term goals' and 'Short-term goals', then create separate planning Collections detailing how you will go about achieving each of these goals. As well as helping you set and achieve writing goals, a bullet journal can be a great tool for planning and tracking your novels, short stories or non-fiction writing. Writers may like to use a bullet journal when embarking on a new long-form project, such as a novel, or when undertaking a particular writing stint, such as NaNoWriMo. 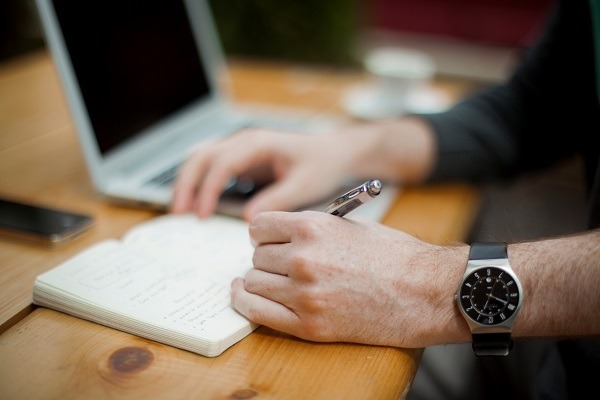 There are so many things to keep track of when writing a long-form piece like a novel: major and minor characters, plot elements, setting details, and so on. Using a bullet journal to keep all these bits and pieces in the one place is a handy way to make sure you're prepared and organised when writing your WIP. A bullet journal is also a great tool to help you prepare for intensive writing events such as National Novel Writing Month (in which you attempt to write 50,000 words of a novel in 30 days). Once you've written, edited and finalised your WIP (hooray! ), your next move will probably be to start submitting your novel to publishers or literary agents. Or, if you've been writing something else like short fiction or a non-fiction piece, you'll likely be looking to submit to journals, websites or other publications. Whatever your goal may be for getting your work published, you're going to have to go through some sort of submissions process. And as much as we'd like to tell you otherwise, this process can be long, confusing and time-consuming. The best way to stay sane and on track during the process is to actively manage your submissions using a submissions tracker in your bullet journal. Here are some Collections you can create to help you out. It helps to research your desired publishers/agents before creating this list, as each will have different submission requirements. If possible, it's best to complete everything on the checklist before you start the actual submissions process. Having this kind of spread in your bullet journal helps keep you on track throughout what can be an exhausting, disheartening part of being a writer. 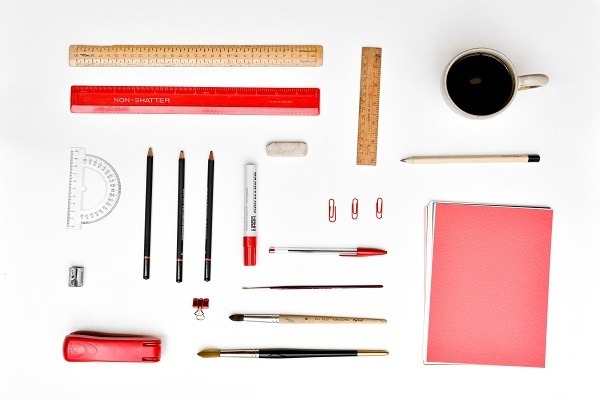 Staying organised will help you to stay motivated and keep pursuing publication. Bonus tip: It helps to colour-code this particular Collection, so get those coloured pens or highlighters out! If you've received feedback about your work from agents or publishers, it can help to collate it all in your bullet journal. Perhaps print out some of the comments or notes you've received and create a Collection to keep them all together for easy reference. While the bullet journal is a great tool for helping writers meet their writing goals, it's also a useful way to keep other aspects of life on track. As a writer, it can be all too easy to become immersed in your work and forget about taking care of yourself. Many a writer is guilty of neglecting their physical and mental health from time to time – all in the name of your craft! But it's important to maintain a healthy balance between your writing and everything else going on in your life. If you don't practise adequate self-care, it's going to take a toll on your personal life – and, in the long run, on your writing. Here are a few additional Collections/pages you may like to add to your bullet journal to remind you to take care of yourself. When you're in a writing frenzy, especially when you have a deadline or are undertaking something like NaNoWriMo, your eating habits are often the first thing to slip. Chocolate and other less-than-healthy snacks are the main source of fuel for many a stressed-out writer – not to mention all that coffee you're drinking as you write late into the night! While the occasional motivational treat is completely fine, eating poorly for long stretches will leave you feeling flat and sluggish, both physically and mentally. To keep your eating habits on track, you might like to create a meal planner in your bullet journal. 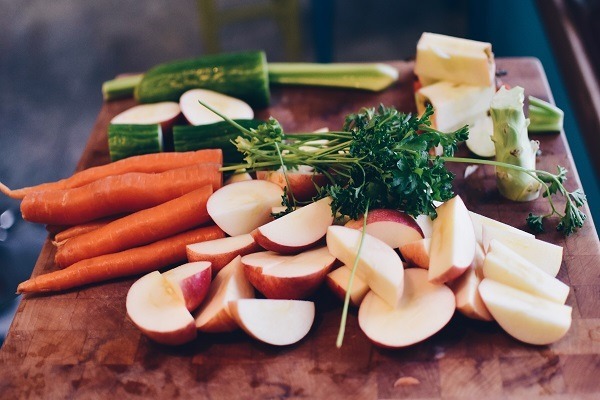 Planning your meals in advance will help keep you on track with healthy eating. If you have a nutritious meal schedule mapped out for the week, you'll be much less likely to skip meals or constantly snack on junk as you write. To create a meal planner for your bullet journal, set aside a one- or two-page spread each week and divide it into equal space for each day, Monday through Sunday. Leave space for breakfast, lunch, dinner and snacks each day. Set aside some time to plan out what you're going to eat each week, and make a list of all the ingredients you need to buy. Bonus tip #1: Another handy page to add to your bullet journal is a 'Go-To Meals' page. This is a master list of all the meals you like to eat regularly, and can be referenced for quick inspiration when filling out your weekly meal planner. Bonus tip #2: Working meal preparation time into your weekly schedule is also a great idea. Grocery shopping and spending an hour or two meal-prepping on a Sunday means you can spend more time writing during the week. 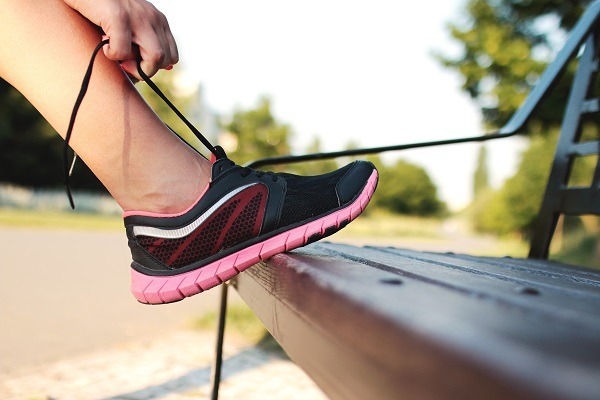 Another aspect of our health writers tend to neglect is exercise. After all, who has time to go for a jog or take a class at the gym when there's so much writing to be done?! While it might seem like there's no time in your busy schedule for exercise, it's really important that you make time. As a writer, you're invariably sitting indoors at a desk for long periods at a time. This makes it even more vital that you get up, get out and get moving for at least 30 minutes a day, five days a week. Exercise is also great for your mental health and acuity. The endorphins released when you exercise help to refresh and replenish your poor, tired brain. Plus, exercise time can also equal valuable thinking time! If you've got a tricky plot problem or you're feeling uninspired, a long walk (or any other form of exercise) can help your mind work through the issues you're having with your writing. To help you keep on track with your exercise habits, create a monthly or weekly exercise log in your bullet journal. This can be as simple as checking off each day that you manage to fit in some exercise, or you can record further details such as the type of exercise, duration, heart rate, calories burned etc. However you choose to set up your log, tracking your exercise is a great way to hold yourself accountable and make sure you get that body moving. As a writer, it's super important to take care of yourself mentally as well as physically. Writing can be a hard and lonely endeavour at times. Struggling with getting words on paper, not to mention spending so much time inside your own head, can really get you down. For this reason, it's important to get your mind in the right place and stay as positive as possible. A great way to do this using your bullet journal is to create a gratitude log or a 'happy things' log. This is a monthly Collection in which you list one thing each day that you're thankful for, or one thing that made you happy each day. For example, in a gratitude log, you might list something like 'Partner made my favourite dinner for me', or 'Had four hours of uninterrupted writing time'. In a 'happy things' log, you might write 'Nailed a difficult scene', 'Had an hour to sit down and read', or even something as simple as 'Saw a cute dog on my daily walk'. Taking time to reflect on each day and think about at least one positive thing that happened will do wonders for your mental health. Even if you've had a terrible writing day, there will always be something you can be grateful for, or some small thing that made you smile. Have you ever used a bullet journal? Has it helped you in your writing process? Let us know in the comments! I’m going to share this at a bullet journal class for writers at the San Francisco Writers’ Grotto. Thanks so much for doing this! Squee! I love my modified bullet journal. Awesome guide! I love the cute start of Abbi’s comment. I’ve never done a bullet journal, but I’m gonna give it a shot and this is the best advice and help I’ve seen out there. It, is, a very awesome guide! Thank you! I was so overwhelmed when my colleague explained this Bujo to me. It seems more approachable with your article. I will take you advice and use an old moleskine pocketbook and see how it works out for me. I hate planning and I am always forgetting things! 🙂 This might be the answer finally to my multiple lives which include writing, working, caring for my mom and home and what not…phew. Thanks so much. Totally understand you feeling overwhelmed at first – there’s so much to consider when it comes to the BuJo! It sounds like you have so much going on all at once – fingers crossed a bullet journal is helping you out a little 🙂 Best of luck! There are really no hard and fast rules about how to set up your bullet journal, but I totally understand the difficulty of knowing how many pages to leave for each section! With your tracking sections, I’d suggest leaving a handful of pages for each one — but remember that if you fill up those pages, you can simply start again wherever your next blank page is. That’s the beauty of having a Contents page at the start — it means you can split up sections if you need to, but can still easily find them if you record their page numbers in the Contents. Hope this helps — good luck with your journal! I really like the post! It’s gonna help and change a lot of things in my bullet journal. I used to have the writing prompts and inspirational quotes in the brainstorm page. And I think the division would help me to be more productive. I hope you the best! Thank you! Excellent article, it provided a wealth of inspiration for my newly minted writer’s bujo. I especially like the self-care suggestions—not that I have an issue with that *avoids eye contact while whistling and commenting on the weather*.